Ahhhh, San Diego. It is hard not to fall in love with this waterfront city known for its fabulous year-round weather, great beaches, and world-class animal attractions. Many families consider San Diego one of the best cities in the country for a family vacation and we tend to agree. Here are our picks for the top 10 things for families to do in San Diego (plus some can’t miss dining, lodging, and day trip recommendations). Rugged cliffs and edge of the earth views on one side, spectacular vistas of the San Diego skyline on the other. Cabrillo National Monument is most definitely a destination with multiple identities. Stretching out into the Pacific on Point Loma, Cabrillo National Monument marks the very spot in 1542 where Juan Rodriguez Cabrillo made landfall, making him the very first European to set foot on the West Coast. 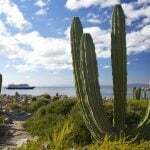 Visiting families will love the history, tide pools, shoreline strolls, visiting the lighthouse, and, if they are lucky, spotting a grey whale migrating to Mexico. It wasn’t so long ago that California was part of Mexico and Mexican culture is still integral to San Diego’s identity. Old Town San Diego, the self-proclaimed “birthplace of California” gives visitors a glimpse at what life was like in San Diego in 1850 through historic adobes, living history demonstrations, museums, and even the first ever schoolhouse in San Diego County. 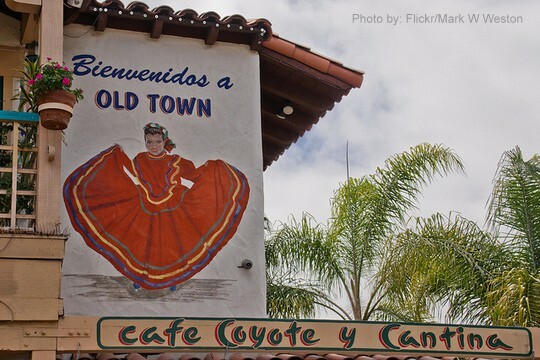 Old Town is also a desirable stop to dine (there are several popular Mexican restaurants in Old Town), shop for a wide variety of goods from neighboring Mexico, and even watch traditional Folklorico dancers put on a show. San Diego probably would have never become a thriving metropolis if it weren’t for its large, natural harbor; you really haven’t seen all that San Diego has to offer until you get out on the water and explore. 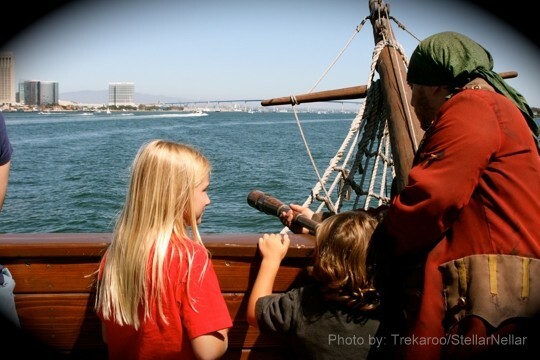 Harbor cruises come in many forms: dinner cruises, narrated tours, and even pirate adventures. During the winter months, the waters off San Diego’s coast are a prime grey whale watching territory and several operators will take you out into the coastal waters so that your family might get a glimpse of the gentle giants for yourselves. Shamu, acrobatic dolphins, playful penguins, and splashtacular rides have made SeaWorld one of San Diego’s most visited attractions. Where else can you dine alongside an orca, learn about marine ecology, and get kissed by a beluga whale all in the same day? Aquatica, SeaWorld San Diego’s new waterpark, is located just south of San Diego in Chula Vista and a great place to ride the slides and cool off on a warm summer. 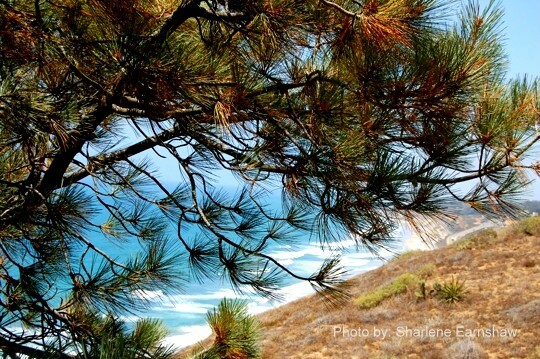 The nation’s rarest pine trees cling to the sea cliffs of northern San Diego inside the Torrey Pines State Natural Reserve, a great place to enjoy the rugged and wild beauty of the Southern California coastline. Take a hike amongst the pines while enjoying sprawling views of the Pacific from atop the reserve’s bluffs and then reward yourselves for your physical efforts with some time on Torrey Pines State Beach which beckons you from below. La Jolla’s beaches were made for families. In addition to being a great stretch of sand with a playground and mild surf for families, La Jolla Shores Beach is also the launching spot for guided kayak tours which paddle out to nearby sea caves. Wildlife abounds in the rich marine habitat of La Jolla Cove where families can snorkel alongside harmless leopard sharks which use the cove as their nursery. 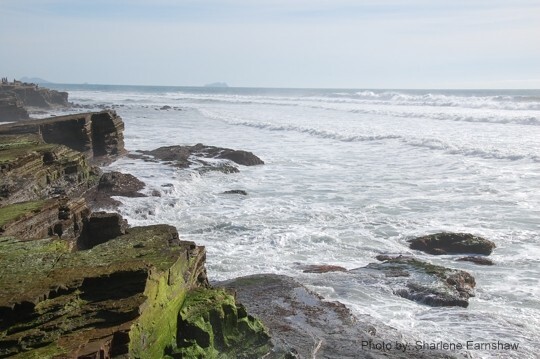 The Children’s Pool, a small beach protected by a sea wall and originally designed to be a play area for kids, is now a sea lion rookery and a great spot for wildlife viewing. 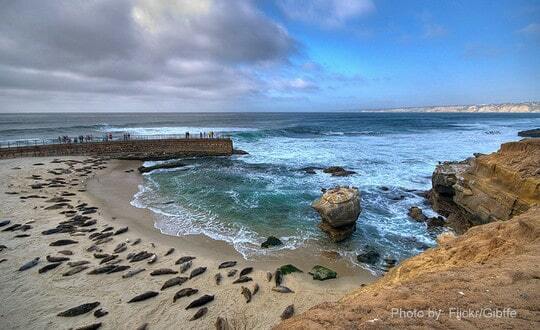 See what else La Jolla has to offer families. Much of San Diego’s history revolves around military and the sea. 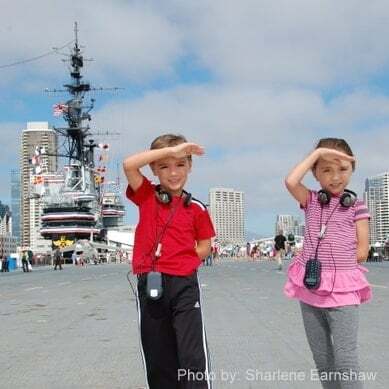 A tour of the USS Midway, one of America’s longest serving aircraft carriers, gives families a fun and educational glimpse at what Navy life on-board one of the cities of the sea is actually like. Go down below and get a glimpse at just how tight living quarters are for sailors before heading up to the deck to check out of some of the incredible Navy aircraft. A short walk away, the Maritime Museum of San Diego gives folks a chance to explore six different ocean vessels including two submarines and the Star of India, the oldest active sailing ship in the world. 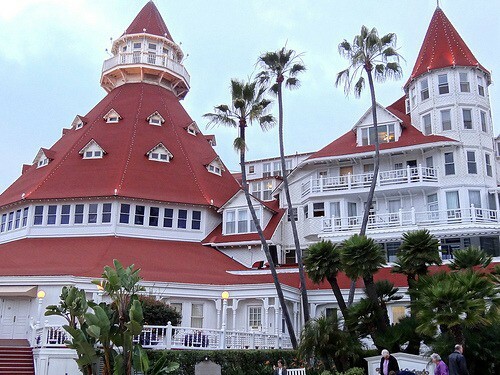 A quick ferry ride from downtown San Diego take you to Coronado Island, home to the world famous Hotel Del Coronado and a stretch of sand that is consistently ranked as one of the top beaches in the US for families. The best way to explore this seaside retreat is by beach cruiser and rental stands can be found on the island. 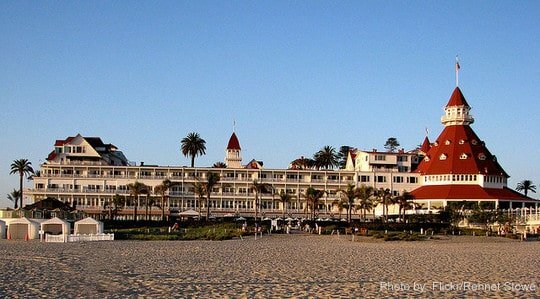 If you happen to visit during the holiday season, be sure to make time to ice skate on the Hotel Del’s beachfront rink. Where else can you ice skate within view of the sandcastle your kids just made? 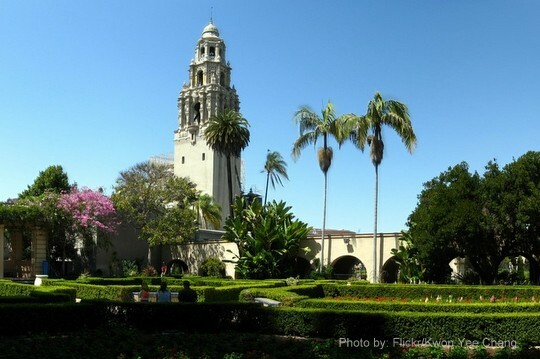 Nearly 50% larger than New York’s Central Park, Balboa Park serves as San Diego’s natural and cultural oasis. Home to fifteen museums, over a dozen gardens, a carousel, miniature railroad, International cottages representing many nations, and the world famous San Diego Zoo, this park is one of our nation’s best. Families especially enjoy the Reuben H. Fleet Science Center for its interactive exhibits, the San Diego Natural History Museum for its dinosaurs, and the San Diego Model Railroad Museum for its-you guessed it- impressive model train displays. With its lush botanical gardens, typically sunny skies, and a collection of over 3,700 incredible creatures from the around the globe, it’s no wonder Trekaroo named the San Diego Zoo the best in the country. 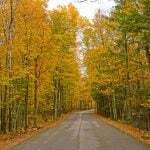 The 35-minute guided bus tour is a great way to get an overview of the zoo and form your family’s plan to attack this hilly landscape filled with creatures big and small. Whether you walk through time at Elephant Odyssey, spot little Xiao LiWu chomping on bamboo inside Panda Canyon, or join the crowd in letting out a collective “aww” while watching the animals at Polar Bear Plunge, your family is sure to have a memorable time. 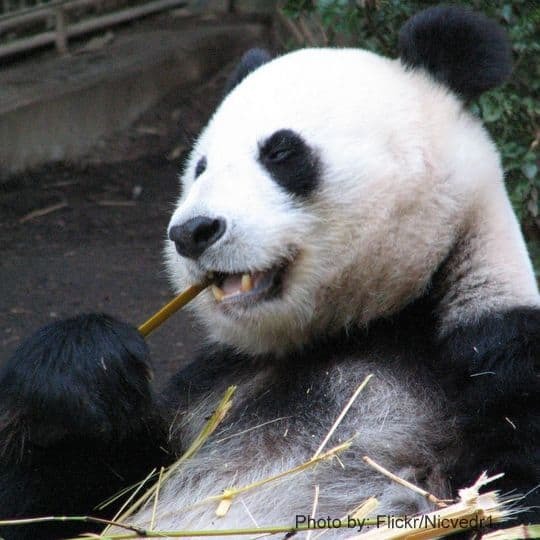 See which other zoos made our list of the best in the United States. Part of the fun of travel is checking out the local cuisine. Just because you are traveling with kids doesn’t mean you can’t eat well too! 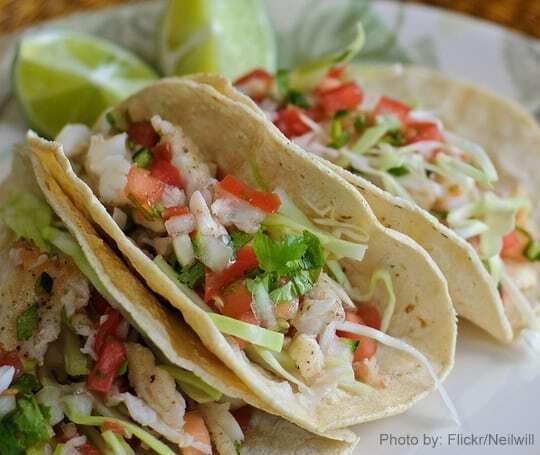 San Diego is known for its fish tacos and Tin Fish on the edge of the Gaslamp District, The Fish Market, and Oscar’s Mexican Seafood are good spots to grab this Baja staple. Eating Mexican food is a major must while visiting San Diego and both Cafe Coyote and Miguel’s (which also has a Coronado location) are conveniently located in touristed areas and popular with families. La Playa Taco Shop in Mission Beach and JV’s Mexican Food not far from SeaWorld are two great local hole in the walls. If you are planning a picnic by the beach, head into Point Loma Seafood (cash or check only) and grab one of their fresh sandwiches, soups, or prepared seafood items to take with you. There are many great family-friendly accommodations all over San Diego and Trekaroo has put together an entire post dedicated to our picks for top kid-friendly hotels in San Diego. 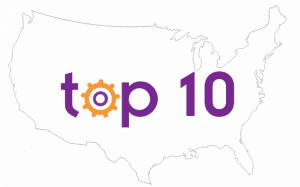 Follow the link to see who made the list! 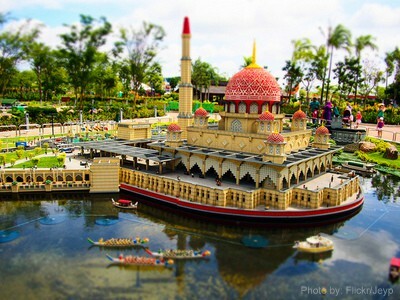 LEGOLAND in Carlsbad is extremely popular with the toddler to tween set. Kids love the LEGO-themed rides (complete with LEGO building stations for kids to play at in the queues), colorful waterpark, and cute aquarium with special viewing areas set up at “kid height.” Parents will find themselves blown away by the incredible recreations of cities, animals, and even Star Wars fighter planes built entirely out of LEGO bricks. You might walk away deciding to switch career paths entirely and become a LEGO architect! Decided to make a weekend of it? Here are some other great things to do in Carlsbad with kids and parent-approved lodging options. 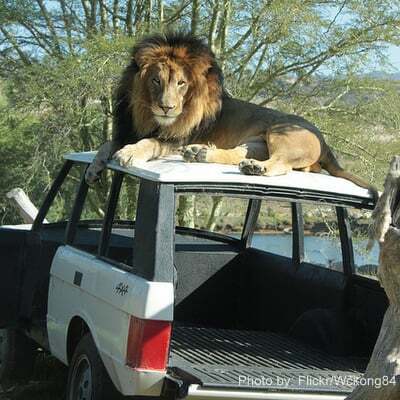 The San Diego Safari Park in Escondido is known for its open air tram which allows visitors to see animals roaming free on their version of an African savannah, but that incredible experience is just a small piece of what this unique park has to offer guests. 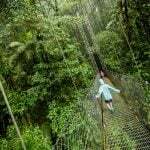 Here families can watch cheetahs run at full sprint, walk amongst lemurs, zip line over animal enclosures, take intimate caravan tours into enclosures where they can feed rhinos and giraffes, and even complete a ropes course in a lush treetop setting. The oldest neighborhood in California can be found ninety minutes north of San Diego in Orange County’s San Juan Capistrano. 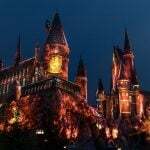 From downtown San Diego, hop on the Amtrak train and enjoy the coastal journey before hopping off in San Juan’s Los Rios neighborhood which is home to great dining, fun little shops, a cute playground, and Zoomar’s, a fun little petting zoo. 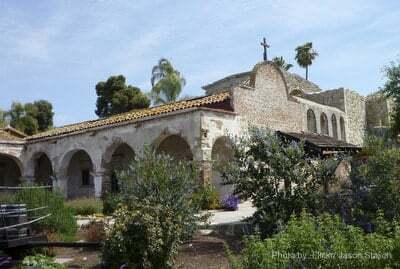 A brief walk to the other side of the tracks will lead you to the queen of the missions, Mission San Juan Capistrano where audio tours specially designed for kids and hands on activities will bring history to life. 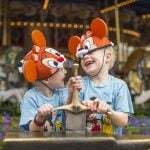 Want more kid-friendly fun in California? 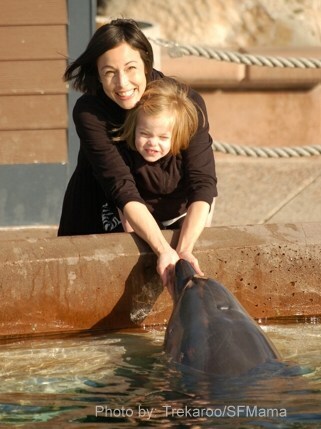 Check out our top ten things for families to do in California! Check out these amazing Airbnb San Diego homes for more lodging options. You forgot Seapoprt Village & Mission Beach area!